Each person finds a way to fill in the blank spaces of their day, or to find something to do to distract them from whatever is haunting them at the moment. Waiting for my family to come home without incident during the ice storm was weighing on my mind. I knew they would be tired and freezing, and it would be a relief to be home after battling the elements getting to and from work. My answer to filling time while I nervously wait is cooking a meal or baking something decadent. I threw together an Asian rub for a pork tenderloin and made a couple of vegetables, but I was tired of rice or potatoes. In lieu of a starch I made an easy cornbread recipe. I pulled the pan out of the oven a few minutes before sitting down for dinner. 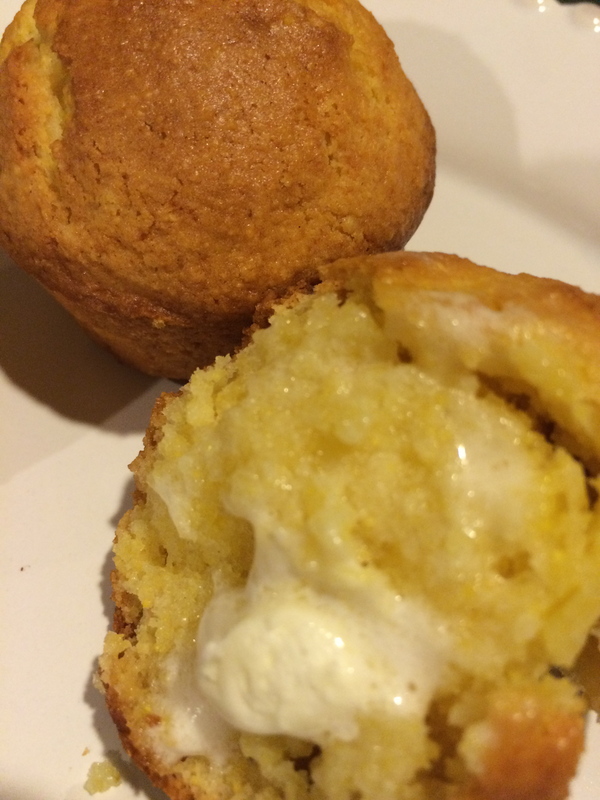 Light, flakey and sweet, the muffins were steaming hot and the ideal side dish on a cold night. Heat oven to 400 degrees F. Grease an 8 or 9 inch pan or a muffin tin. Combine the dry ingredients. Stir in the milk, melted butter, egg and honey until the dry ingredients are absorbed. Do not over-mix. Pour batter into pan or muffin tin. Bake 20 – 25 minutes.